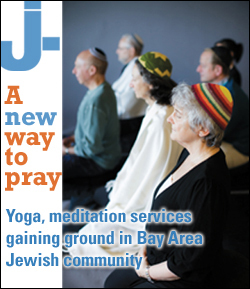 A different way to pray: Yoga, meditation services gaining ground in Bay Area Jewish community – J. In the cozy sanctuary at Congregation Beth Jacob in Redwood City, eight people sit in a relaxed circle, all of their eyes closed, all of them silent. It’s about 7:30 p.m. and a few days before Rosh Hashanah, when hundreds of worshippers will fill the same room for the High Holy Days. But right now, the participants of Beth Jacob’s weekly Jewish meditation group are engaged in a spiritual practice that — depending on whom you ask — is at once similar to a traditional Rosh Hashanah service and altogether different: They’re turning inward, preparing for the High Holy Days and the coming year through the deceptively simple act of mindfulness. “We’re going to take a few more moments here,” says Laura Caplan, a Beth Jacob member who leads the group. “And we’re going to keep paying attention to our breath as we come back together.” In Caplan’s lap is a copy of “This Is Real and You Are Completely Unprepared” by the late Rabbi Alan Lew, the San Francisco scholar, writer and activist who was instrumental in introducing meditation to modern Jewish practice. To Caplan’s left is Wendie Bernstein Lash, a regular in the group who is also a meditation teacher, spiritual guide and counselor. Among other things, she leads a “contemplative” Shabbat service at Congregation Etz Chayim in Palo Alto on the first Saturday of every month; it combines study of the week’s Torah portion with silent meditation, chanting, and a focus on the intention, or kavanah, of Shabbat prayers. In nearby Foster City, Julie Emden, the director of embodied Jewish learning at Jewish LearningWorks, currently leads a weekly Jewish yoga class on Wednesdays at the Peninsula Jewish Community Center. Not used to mixing your davening with your downward dog? A growing group of Bay Area Jews will happily tell you that the congregations and Jewish organizations that do aren’t unique; they’re not even outliers. Though perhaps once dismissed by the larger Jewish community as a relatively small subset of New Age-y Jews (or “JewBus”) who borrowed from Eastern traditions and Buddhism to invent their own kind of East-meets-West spirituality, the sheer number of Jewish meditation and yoga classes, contemplative services and other alternative spiritual practices that have sprung up in the Bay Area’s Jewish community simply can’t be ignored — especially when one looks at where it’s happening, and who’s getting involved. Berkeley’s Jewish Renewal community Chochmat HaLev is considered a pioneer in blending meditation with Jewish spiritual practice, having trained teachers in Jewish meditation for more than two decades. Avram Davis, Chochmat HaLev’s founder, published a book in 1996 called “The Way of Flame, A Guide to the Forgotten Mystical Tradition of Jewish Meditation,” and the community hosted the Bay Area’s first Jewish meditation conference in San Francisco the following year, drawing some 550 people. Nowadays, Jewish meditation is turning up in communities that might have scoffed at the notion 17 years ago. “One can point to the Jewish Renewal movement as an important part of this renaissance, but you’re finding it happening across the board — in Reform temples, Conservative, Orthodox shuls — because people are thirsty for spiritual nurturance,” Derby says. He uses the term “renaissance,” he says, because meditation “has always existed in one form or another in Jewish life, Jewish practice, text and tradition. The people the Torah calls ‘the early pious ones’ would sit in meditation for an hour before and an hour after prayer. For Judy Fisher, Jewish chanting was the gateway to exploring alternative spirituality. “I wasn’t looking to go outside Judaism, but when I found chanting, I realized that was a kind of meditation itself,” says Fisher, who moved to Redwood Shores from San Diego four years ago and is now the director of the Or HaLev meditation group at Peninsula Temple Beth El in San Mateo. Through Or HaLev, which has held weekly meditation sessions for a decade and has recently begun organizing contemplative Shabbat services every few weeks, Fisher says she’s become connected to a Jewish community unlike any she’s ever known. “There’s a vibrancy here [in the greater Bay Area] that’s not like anywhere I’ve ever lived,” she says. “People are hungry for meditation classes, for contemplative services, for a broadening of ways to connect spiritually. Ellen Shireman agrees. As the director of San Francisco’s Makor Or, one of the first Jewish meditation centers in the U.S. — it was co-founded in 2000 by Lew and the poet and Zen priest Norman Fischer, another pioneer in blending Eastern spiritual practice with Judaism — she has seen meditation surge in popularity among both Jews and non-Jews over the past decade. “I think it’s becoming more of an accepted practice in society in general. Everyone’s doing some kind of meditation in their yoga classes,” Shireman says. “But in Jewish meditation, in particular, something really interesting is definitely happening in the last few years,” she says. Makor Or began with a very small group of people who were interested in learning meditation; the organization’s mailing list recently surpassed 300 people. Shireman says she thinks Jewish meditation is taking off in part because of its accessibility, relative to other kinds of Jewish practice. “For modern people it can be difficult to access Judaism: people aren’t learning Hebrew, teachers aren’t really stressing a relationship with God. Meditation can help a person find what’s been missing,” she says. Dorsey completed her yoga teacher training in 2012 and has taught Jewish yoga classes around the Bay Area ever since. The Oshman Family JCC in Palo Alto brought her on to lead two Havdallah Yoga programs that each drew more than 30 people; two more sessions are planned for January. Their success led the JCC to launch “Vinyasa, Kavanah and Vino,” a wine-tasting and yoga evening aimed at Jews in their 20s and 30s, also led by Dorsey. Temple Emanu-El in San Jose invited her to lead a quarterly Shabbat morning series and, this past September, had her lead a Yom Kippur yoga workshop that took the place of the afternoon service (the congregation retained its traditional morning and evening services). But what is Jewish yoga, exactly? There’s no set of instructions, no “liturgy.” It’s up to the individual leading the session. Pointing to other longtime yoga instructors like Julie Emden, Dorsey emphasizes that she’s far from the only Jewish yoga teacher in town. She also says she thinks Jewish yoga appeals to people who want to have Jewish experiences but “who might be intimidated in a traditional learning environment.” Take, for example, Dorsey’s husband, who’s not Jewish. Of course, say many involved in the movement, synagogue attendance and alternative spiritual practices needn’t be mutually exclusive — far from it. Rabbi Corey Helfand, spiritual leader at Peninsula Sinai Congregation in Foster City, is inspired by the task of creating experiences in his Conservative congregation that could appeal to both traditionalists and those who gravitate toward Jewish meditation. Some of the most traditional Jewish rituals are actually closely related to meditation, Helfand says, so it’s really not much of a leap. “In their rawest sense, personal practices — and prayer — are a way of creating mindfulness,” he says. Like many people interviewed for this article, Laura Caplan was quick to suggest that, far from creating a neo-spiritual movement within Judaism, meditation and contemplative services are actually harkening back to ancient Jewish practices that may simply have gone by another name. “It’s a valid question: Are we doing something new, or are we just getting back to what was? And if you look at the Torah, and the early Jews, what were they doing out there in the desert? There was a lot of quiet time, and they had opportunities to talk with God,” she says. It’s nearly impossible to talk about the intersection of meditation and Judaism in the 20th century without talking about Norman Fischer. When he was a kid in Pennsylvania in the 1950s, Fischer’s family belonged to a Conservative synagogue. But after U.C. Berkeley and the Graduate Theological Union brought him to the Bay Area, Fischer gravitated toward Buddhism, becoming ordained as a Zen priest in 1980 and director of the Green Gulch Farm Zen Center in Marin in 1981. Beginning in 1995, he served as co-abbot of the San Francisco Zen Center, and in 2000 founded Makor Or alongside Lew. As for its rise in popularity among the Jewish community? 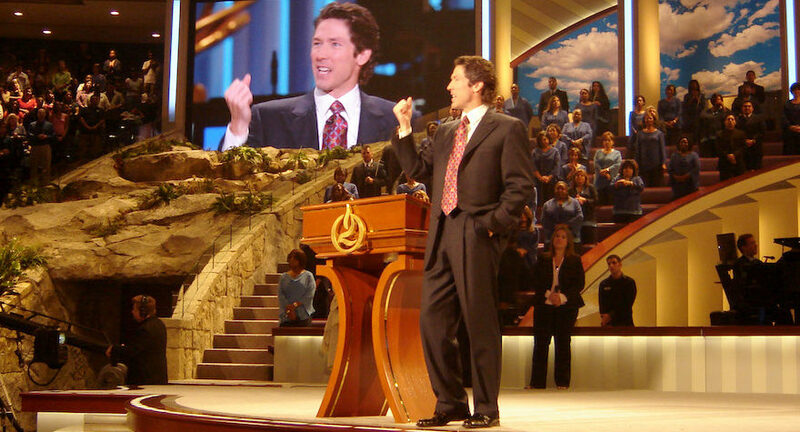 And why it might appeal to Jews who have been turned off by traditional synagogues? Fischer laughs, and sighs. “So here’s the problem as I understand it: When you consider the Judaism of the past, where you had observant Jews living in local communities most of the time by necessity, you had an ongoing sense of spiritual path that everybody took part in. Everybody observed Shabbat; spiritual practice was in the air, and to some extent that depended on Jews being separate and not having the opportunity to share in the world at large,” Fischer says. Fischer, like Derby, points to the Talmud’s references to the ancients having meditated before and after prayer. 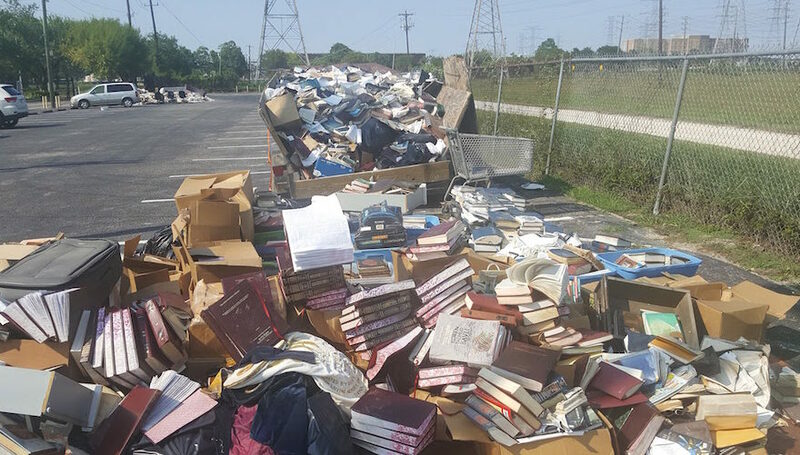 “I’ve heard concerns that it’s a kind of solipsistic movement — that because it’s about a person’s inner life, it will cause a person to no longer be interested in Jewish community, that communal life will suffer. And my inclination is to say there is that danger,” he says. “But the payoff is so much more valuable. Because it’s so much more worth it to have Jews find spiritual practices that nourish them. Ultimately, spiritual practice provides clarity of the mind, opens the heart, cultivates compassion and care. And the more people who engage in Jewish contemplative practice, the more compassion and care is cultivated, the more people care about the poor and about the community,” he adds.